a7S: King of low light stills? Where the 'R' in a7R stood for resolution, the 'S' in the 12MP a7S stands for sensitivity. This purported increase in sensitivity comes at a cost: in the face of cameras with ever-increasing megapixels, the a7S comes in at a rather paltry 12MP. Lower resolution and higher sensitivity are certainly not unheard of - the Canon 1DX and Nikon D4S both top out at relatively modest resolutions of 18 MP and 16MP, respectively (though this is partly done in the name of speed). But is the resolution of a bygone era (Canon EOS 5D anyone?) a worthy tradeoff for the still image and video quality enhancements? It certainly appears to be for video, but we thought we'd put the a7S up against some of its immediate competition (a7R and 5D Mark III) in a real-world low light scene to see just how effective it is at low-light for stills. But first, a bit of theory: lower resolution sensors can increase pixel-level performance (because bigger pixels capture more light), but it's typically total light gathering area across the entire sensor that is a major determinant of ISO performance, all else being equal. So, to see whether the a7S offers anything beyond the pixel-level benefit its lower resolution would lead you to expect, the higher resolution image is normalized to the resolution of the lower resolution camera. Ultimately, for the a7S to make sense to stills as well as video shooters, Sony's engineers need to have exploited some of the other advantages that well-designed larger pixels can potentially bring: for example, lower cumulative sensor read noise, icnreased effective sensor efficiency (due to less inter-pixel spacing), and so on. We put the a7S up against the higher resolution a7R to see if the a7S offered any significant high ISO advantages over the a7R when the output of the a7R was downsized to that of the a7S. Furthermore, we pitted the a7S against a professional DSLR not too far outside the price range of the a7S: the Canon 5D Mark III. We shot a night scene that included a range of tones from deep shadows to bright highlights to get a comprehensive idea of noise performance of these cameras at various ISOs. In order to level the playing field for all three the cameras, we shot all of them with the same lens (Canon 24-70 F4L IS), and kept aperture and shutter speed - that is, total exposure - consistent. Since the a7R and 5D Mark III don't offer ISO sensitivity settings above 25,600 and 102,400, respectively, these higher ISO shots were simulated by maxing out the ISO on each respective camera, adjusting shutter speed, and then digitally boosting exposure in ACR. The Sony a7S enables the use of incredibly high ISOs, including some unavailable to most cameras. When shooting at incredibly low light levels, the a7S will most likely give you significantly better results than any camera that does not natively shoot at these ISOs. There are also advantages to be had over the higher native ISOs of other cameras in its class, particularly higher resolution ones. Although a Nikon D750 holds its own against the a7S at all its native ISOs, we see the a7S overtake the 36MP a7R (and D810, for that matter) in normalized shadow noise performance at ISOs above 6400. At more moderately high ISOs (6400 and below) as well as in brighter regions of images - where image quality is determined primarily by how much total light is captured - the normalized ISO performance of the a7S will be similar to that of high-performance cameras of its generation that share its sensor size (i.e. full-frame). The Sony a7S only offers contrast-detect AF (CDAF), which can't match the tracking abilities of cameras with phase-detect AF (PDAF). Hence, we don't consider it suitable for applications requiring pro-grade AF, and both the a7 and a7 II outperform it in terms of both speed and continuous AF. However, of interest is Sony's claim that the a7S can focus down to -4 EV. We believe them. 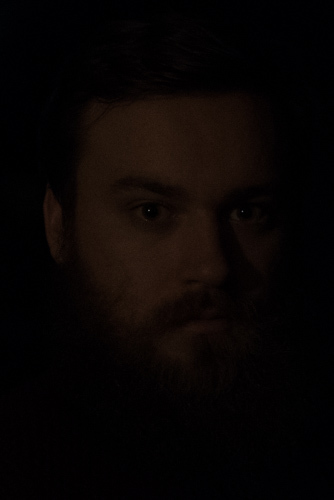 We performed a rudimentary low-light AF test similar to the one we performed for our D750 review, where we slowly lowered light level until the camera was no longer able to focus, then slowly increased it again to find the lowest light the AF system can focus in. We then calculated the exposure value needed to correctly expose the area being focused on. On this basis we found the a7S to focus down to around -5 EV. The rollover above demonstrates how dark this is, in comparison to the Nikon D750 (which is rated down to -3 EV). The shot in the middle was given the same exposure as the Nikon, to illustrate the difference in illumination level. For the right-hand image we increased exposure to match the brightness of the Nikon image, which required settings of: 1/8s, F1.8, ISO 64,000. That's really, really dark. But there's an important caveat here: focus was very slow, with a lot of hunting and intermittent failure. And this isn't surprising: CDAF needs to hunt to find the point of focus, essentially by trial-and-error, and this hunting slows down in low light. What this means in real-world terms is that if your subject is moving, or if you shake the camera too much, AF often fails because the subject (and point of focus) has moved while the AF system is still hunting. So even though the a7S can, technically, focus in dimmer light than any DSLR, in real-world use a D750 and 5D Mark III tend to outperform the a7S in low light. This is because their PDAF systems only need to make a few quick measurements to determine where to send the focus element of the lens. While the Sony a7S is an incredibly capable low-light stills camera, it's not unique in its ability to offer acceptable images at incredibly high ISOs, with the 36MP a7R following the a7S' ISO performance fairly closely up to ISO 6400, and the Nikon D750 offering competitive ISO performance all the way up to ISO 51,200. The a7S does, however, allow one to shoot at ISOs that don't even exist on many other cameras, although even there, it's not unique in its ability, as a Nikon D4S manages to stay neck-to-neck against the a7S up to ISO 409,600. A camera that renders images in very low light must be able to focus in such low light levels as well, and here the a7S does display a remarkable ability to focus in light levels lower than any camera we've tested. However, it's very slow, and intermittenly fails at focus at such low light levels, which isn't at all surprising. What this means, though, is that in slightly less dim situations where DSLRs can focus (e.g. EV -3 for the Nikon D750), their refined, dedicated phase-detect systems will typically outperform the a7S in speed and ability to acquire AF, especially for moving subjects. Owned an A7s for 4 years. I am still amazed by the image quality of the BIONZ X processor, its DR and low light capability. 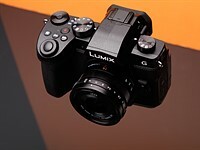 It is hard to compare with other cameras. But. I more and more got annoyed by the (very) insufficient battery life. It does not hold 360 shots, more like 180 to 200. Having one of the best cameras available and missing pictures because of the battery is an everyday concern with the A7s. Another issue is the slow AF of first generation A7s. At the end, the A7s is a stunning camera for portrait, landscape, low light scenes, but you end up with to many missed pictures because of the batteries. If you can manage having three or four batteries constantly ready for use, then enjoy the fantastic image quality. how fast is the focus when used with the LA-EA4 lens adapter where the adapter uses phase detect for a-mount lenses? I would always prefer Sony for the better image quality. I have recently received the Sony a7s and at random times the screen goes black for like a second. I could only find one video on youtube that says its a normal glitch but nowhere else. Is it normal or is my camera defective? Ancient question, but perhaps it may be of use to someone in the future. I have an a6000, and if the semi-articulated LCD screen is in any way similar, the eye-sensor function can be set off by holding the camera (for example) near your waist while composing a shot. Not a defect, just a nuisance. Keep producing good camera sony. This is not the first camera to have XAVC-S, the RX10 had it long ago. The RX10 was launched before the a7S, but didn't offer XAVC-S when it first hit the market. XAVC-S capability was added in a firmware update in August 2014, some 10 months after launch. While I can understand the hesitation of some to even try A7S at 12Mp, I can honestly say that you do yourself a disservice. This is a sensational stills cam unequalled for most work as these 12Mp are based on technology not found in other cameras so you aren't comparing apples to apples by simple pixel count. The newly designed full frame 12Mp can literally turn night to day, a significant accolade. While I could go on and list the numerous reasons I believed valid to switch to this camera as my stills camera of choice, the video capabilities have found favor by professional videographers. The A7S has produced commercials along with currently a movie in production using the A7S for numerous on-location shots where larger cameras would have been difficult to utilize. That alone is quite impressive. Is the iso6400 in low light very clean and detailed? I mean even if the MP count doesn't deter you it certainly limits its market as a stills camera. I'm more of a videographer, cover some stills but not my major. Most of my work is documentary style, also news features, and I work in small crew usually no more than 3 people. I'm now using C100 and some sony videocameras. I want a change because I do need stills sometime, and I want sth small. I'm wondering is A7S my ideal choice? or the A7ii? For me, A7ii is the facinating mainly because of the IBIS, as quite a bit of my shots are handheld. A7S is mainly because of the quite shutter, as I need to be unnoticed, and also 4K, but mainly for potential future use. Now I don't have an external recorder, and seldom use 4K. In fact I'm also considering D750, but it's a bit larger for me and also no IBIS. Which one really suits me? which one did you go with finally? I was almost purchasing the A7ii but then realised it has a significant moire problem. The A7s doesn't have IBIS. I have similar requirements as you but I'm sure I want a full frame mirrorless for the portability factor + low-light and image quality. how we can shoot with pal version of this camera with an external 4k recorder with 24p? Most customer reviews including on the Sony site are not good. Horrible rolling shutter during video is one big complaint. I'm waiting to see what the A7r MII specs look like. Pretty much useless as a stills camera with only 12 MP. Must be some kind of inverted snobbishness at work here, an "exclusive" camera for artists perhaps? The NX1 is a much better movie making tool, it has a touch screen too which is particularly useful for documentary shooting in unpredictable situations. Good thing that nowadays one can pick from so many options. I for myself am happy with the A7s. Together with small manual lenses this thing is compact and lightweight, can handle everything from bright daylight to dark small clubs, has an absolutely silent shutter (if needed), and is able to dish out quality video if needed (emphasis on quality, not usability). Horses for courses, so to speak. "The NX1 is a much better movie making tool"
This camera uselessly allows me to shoot at f4 or smaller in terrible low light conditions. Hate having that autofocus in low light as well. who needs it? Having a higher dynamic range above iso 400 over every other camera ever manufactured is an absolute useless feature. Even terrible, I could shoot milky way time lapses under sub zero degrees in less than 20 minutes. Damn! All the struggle and the enjoyment of getting ourself frozen by staying beside the camera for 4-5 hrs.. everything gone! Hate that this camera churns out usable picture even at 12800. HDR is such an art and I hate that this camera can gives all those details in a single image. Hate everything about this camera. Why Sony? why did you make this camera in the first place. "Pretty much useless as a stills camera with only 12 MP"
12mp are not much, I agree. I often crop my pictures, since I don't always have a zoom lens with me. Besides I use to print in 60x40 cm size. But if you don't crop and print smaller (or never print) then 12mp are enough. 60X40 ? Lol... From my D3 I've just printed from an 8 mp file a 100X100 cm fine art, absolutely perfect. 12 mp are absolutely good for every kind of work. Wanderingeye, absolutely not. I shot most of my images on a 3 week trip to Myamar using the A7s. Federico: not to my eyes, sorry. How many MP were the cameras that Henry Cartier Bresson and other MASTERS from the past used to make gorgeous images that have stood the test of time and are still awesome today? Its not about MP. its about the image and the feeling/emotion you get from it. I wish I can afford it. Or maybe wait for one year when the price decreases. I just ordered this camera. In regards to DR range being inferior to a7r etc, indeed it is slightly inferior from iso 100-200. Once it reached ISO 400, it becomes even and then ISO 1600+ the A7S pulls away from every camera around . For me i can live with that slight loss of DR from iso 100-400 as the DR is still far better then my Canon 5D3. However, when Canon decide to release DR that supasses sony's ones, i will invest a full body DSLR again for landscape work. What put me off an A7R was due to the fact that it quite a noisy camera ie shutter noise. It also doesnt focus that well in low light compared to the a7s. i do like how it has 36MP to play and slightly better DR on the low ISO but because i wanted a small compact camera where i can throw in my bag and even take it with me on a night out etc, this was more of an all rounder for me whilst the a7r is more of a specific camera much like the canon 5ds/R is. Looking forward to playing with mirrorless camera's as i believe if you give it another 5-10 years, it will surpass DSLR's in almost every way. I've had my A7s since July and love it. For me, the higher ISO is critical to get keepers as I'm often shooting in lower light and fast shutter speeds. If you can of course it's better to get the optimal camera body for each application. But in my case, I want something that I know will deliver consistently in a very broad range of light situations. Also the auto white balance is pretty good so I don't have to go RAW unless I'm doing something really critical. The negatives of the A7s are low priorities to me so I readily trade them out including lower resolution and slightly lower dynamic range at ISO 100. All that being said, would love if v2 gets the in-body stabilization, a touchscreen for focusing and UI, and some more range of motion for the LCD screen. Faster AF a la A6000 please too. Overall I'm quite happy with this camera. On the subject Sony full frame lenses, where are the Loxia lenses listed on DPReview? 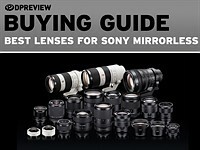 I tried both the Sony and Zeiss lens directories and could not find them listed. Thank you in advance. Personally I would rather see how things look pushing 1, 2, or 3 stops using various ISO settings and not some target of 6400. I recall my 6D seems to have a stop and a half ability at ISO 800 that still looked reasonable in the shadows. Seeing one stop push from 200 Vs. 400 and the like would be more intersting to me. I fail to see how looking at the comparison of ISO 6400 as the target ISO is very useful given that noise is always more likely there in low light. To me varying the base ISO and then pushing that a few stops would seem more telling,but then the testing illumination would of course have to change. Using low ISO settings and decreasing light and increased exposure times would be intersting too. Thanks for your feedback. We are now starting to push base ISO shots 1, 2, 3 EV, etc. to answer, hopefully, the question you're after. Even then, though, our tests still won't be comprehensive, since it's not the # of stops of pushing that is the relevant question here, but rather which tones are able to be pushed. This is a subtle point, but an important one. When a camera has a high read noise floor (e.g. 5D Mark III), tones that fall anywhere near it are the ones that can't be pushed. Tones well above this floor, though, can be pushed 3, 4, 5, 6 or however many stops without showing much difference compared to a camera with a low (downstream) read noise floor. To get at the other question you're asking - pushes of other ISOs, our ISO-invariance test is actually a good proxy as it shows you the ISO beyond which there's no more benefit to performing the gain by increasing ISO in-camera. Doing it in post, of course, allows you to preserve significantly more highlight tone. Btw our new test showing the result of other base ISO pushes are in the E-M5 II review, & look for it in future reviews (a7 II, for example). With the 6D, btw, a stop and a half EV push sounds perfectly reasonable, but again - it's which tone you're pushing that matters. By ISO 800, actually, you won't have many tones near/below the noise floor b/c every tone has been amplified 8x relative to base ISO. Hence, only the really, really dimmest of tones will still be below the (relatively high) downstream read noise floor of the 6D, and so you'll generally find pushes to be more reasonable. You can actually analyze this yourself here. There's still some noise even in the shadows there at ISO 800 after the push (relative to ISO 6400), so you are still paying a bit of a noise cost, and that's exactly what that test is designed to show. It's just that it's a small noise cost, at that point, b/c so many tones have been pushed above the downstream read noise floor by ISO amplification, that the downstream read noise has less and less impact. That's why you find the pushes reasonable at higher ISOs on the 6D. The point of our ISO-invariance test, though, is to show you even the faintest bit of noise cost you might be paying by pushing ISO X by Y EV instead of just dialing in ISO (X + Y EV) in-camera. i would like for that sum to at least get a 10fps camera ..whats so hard about doing that ? I agree, you should develop one and show them how it is done. Funny reply but as someone who owns an A7s I fail to see why 10fps should not be possible from hardware that, in other Sony cameras with far greater pixels to record, manages up to 12fps. More importantly why is the large still button disable in video mode forcing you to use the joke reset sized record button on the camera ? 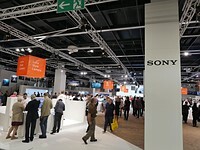 From what I can see that SONY puts itself in a bad position from its own innovation - too many products lines. OIS can be disabled, or IBIS can be partially being disabled for using lens' OIS. BUT same SPECed OIS lenses are larger and expensive than lens without OIS, and the extra cost will be added up fast as we buy more and more OIS lenses. 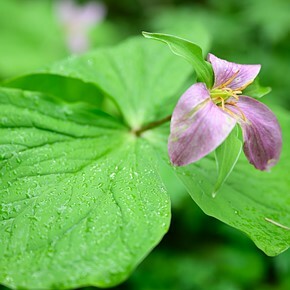 It is system camera, not P&S like RX1, RX10, RX100 lines. No. I don't think its bad. One OIS or not OIS, this or that, really? Sony is evolving quite nicely, incredibly in fact. 5 axis IBIS is a recent development probably from their association with Olympus. Not a bad thing. I wouldn't mind seeing non OIS lenses in the future, now, but they are pushing the industry and leaving many in the dust to play catch up. Perfect systems? No, not yet. But they're working on it hard and fast and I applaud their top shelf efforts. I like IBIS better than OIS b/c lenses are small and cheaper. The BAD part is that A7-2 does NOT have popular FL none OIS zoom lenses for example. not even in the lenses road map. As an old Olympus user and still fan I've always thought IBIS was the smart move. Hopefully Zeiss and Sony are working on this message. It took Olympus more than a couple years to get into lens development after the E-1. 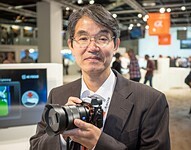 If Sony is going to get serious towards E mount, they'll have to and recent developments suggest they are moving in that direction. Not soon enough is the catch phrase for now. As a system camera that weather sealed Olympus OMD line is much better b/c its F2.8 Pro weather sealed zooms, it has 3 in total including the 7-14mm UWA will be soon released. No other brands' mirror-less have these weather sealed faster zooms, UWA, WA and TELE. Problem with your argument being you are dealing with a 4/3 sensor vs. a full frame sensor. Yes 2.8 is faster, but you'll get even less DOF with f4 on a FF. And the better Sony's are weather sealed. Yea, M43 sensor is also kind of too small for low-light based on the current sensor performance. Rumored a7000 [will have IBIS] is weather sealed with new [Zeiss?] weather sealed zoom, we will see. For me, I'm looking for a system camera with 2 zoom, UWA and WA, and WA zoom has to be started @24mm. 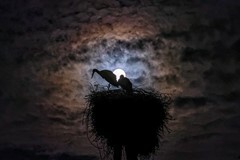 I need IS, and prefer IBIS for the reason I mentioned early. Could someone inform whether any of these cameras can do simultaneous stills while videoing, like the Nikon V-cameras can, and some GH-cameras? That is, a still capture or burst (pressing the shutter release) while videoing, with no effect on the video. What is the point of a fusion of stills and vid if we can't do both at the same time? We are increasingly asked to do this by our customers/users. If they can't, I'm wondering why not. Is there a technical constraint? Obviously SLRs can't, but a mirrorless with electronic shutter should be able to. It seems such an obvious requirement of a stills/video hybrid camera. Many thanks, and apologies if this has been covered. I've looked around without success. I did not see you mention this. and it is important. 1080p full frame mode is pretty useless at 50/60p. It produce too much moire and aliasing. However at aps-c mode at 50p/60p. This is much reduced and perfect usable. So if one need 50p/60p slow motion, he better give up full frame mode and stick with aps-c mode. Not true. Eoshd and dozens of other websites have clearly shown very little Moire and Aliasing in 1080. Thats the whole point of the 12mp sensor and how it does its readout. Nothing comes close to it for video for the price. Not with the A7S! The full sensor readout and low pixel density are some of the great features that prevent those problems. The A7S is a landmark, having "raised the bar" quite higher than ever for video with this type of camera. "1080p full frame mode is pretty useless at 50/60p"
I have been very tempted to go the A7II route, but I have to say the reports of cooked raws, plus my own experience that Sony raws are not as flexible as others', concerns me. Give way to your temptation and you will pleasantly surprised by the A7II's excellent image quality. Think I am going to wait. You might want to do the usual troll thing of having no gallery before you talk, as you so often do, about others who shoot for professional use requiring good cameras for "Facebook snaps". Trying to choose my first digital SLR to upgrade from my Canon Powershot 40 2MP point-and-shoot, which I love but have advanced enough to want something more powerful and full featured. I'd like some advice if possible in choosing a make/model based on the types of photography I enjoy, and what you think would serve me best for such subject matter: nature, landscape/cityscape, portraits, street/candid, macro, winter, B&W, flora/fauna, architecture/perspective. Been looking at the Sony A7, A7s, A7r, and the Alpha a-6000; Olympus OM-D E-M1 and Nikon D7100. I think you would be over the moon with any of those cameras. You could probably save yourself a lot of money by getting a D3200 twin lens kit or equivalent, which you would also be over the moon with and would address all your areas of interest. Add an extension tube, a polarising filter, an external flash, a tripod, a remote release, a nifty fifty, a small backpack camera bag and possibly a GPS unit and 35mm 1.8 lens, and you would be ready to take on the world for less than the cost of an A7 body. But of course it's entirely up to you - whatever grabs you will work. They all surpass us mere photographers. But be warned - you'll miss your point-and-shoot. You'll go through a period of saying, "I would have made a better shot with my old camera." You'll either get through it or trade it all in on an FZ200. Grab an A6000 with the 16-50 and 18-135 f4 lenses and you'll be in heaven for some time and won't miss your p&s. After that, there'll be no limits for you! TYFYR. You don't mean the kit lens, do you? People kvetch about it. From Sony's site: R U referring to DT16-50 f/2.8 SSM (SAL1650) instead? Can't find a Zeiss 18-135 f4 but did find DT18-135 f/3.5-5.6 (SAL18135) are these Zeiss lenses everyone's raving about? Drooling over the Zeiss 90mm f/2.8 macro coming out but must set some hay aside to throw down the $1K needed to pick one up. So.....you shoot nearly every type of photography? ;) Also, I don't know what your definition of "street photography" is, but have you managed to get the street photography results you're after using your Canon p&s? Just curious. Personally, I don't know what to tell you, since you're interested in so much (which is good), but I think anything would be OK for you at this point. Sorry, but all the cameras you mentioned are extremely capable, so pick up any of them and get great results in most cases. Buy the most well-priced option, or wait for a sale and let that decide your fate. If you want more specific advice, then you'll need to either narrow down your interests to be more specific, or tell us which focal lengths you're most interested in shooting. On that last note, I"m not sure if you know which focal length is if you're coming from a point and shoot! Do you know if you mostly shoot wide, or do you zoom in a lot? I mention several types seeking advice for a good "overall use" set up. Street stuff is mostly candid work. Narrowed down my favorite subject matter is B&W, land/cityscape, nature, and macro. Would love learning how to photograph the Milky Way and, if I ever got good enough to earn money for it, portraiture. I'm aware of focal length. I'll need a "fast" (F/1.4/1.8) wide angle (17-24mm?) for landscapes; 35-50mm for portraits and a medium range zoom or prime telephoto for nature. As I already have three manual focus Zuikos (50mm f/1.8; 35-70mm f/4; 85-250 f5) and want to use them I guess I should opt for the Sony Alpha a-6000 with a metabones adapter and then obtain Sony-Zeiss 90mm f/2.8 macro and one of the fast E-mount wide angles. Your thoughts? Thanks kindly for your input. I ended up buying into an Olympus M43 EM1 system. Bought and have been reading Mr. Young's excellent treatise on it. Learning to fly the Space Shuttle is probably easier than how to master using this camera. I love it. Bought the 17mm f/1.8 and 12mm f/2 primes for it and the HLD-7 battery pack. Throw in a filter for sunrise photos, a tripod, a couple extra batteries, battery charger, lens hood for the 17mm, and a LowePro pack and I set myself back about 2.5K but I'm happy. It's a great feeling camera and eventually I'll be able to fly it solo. They're going to release the 4.0 firmware update soon. 1) which sw did you use to manipulate raw in the new tests? 1) ACR/Lightroom 2) We hope so, when it's relevant, anyway! The 7S is a great camera, I used it during last new year's eve without a flash and the resulting photos are just amazing. HOWEVER: What I am missing, from an amateur's photographer point of view, is a decently fast zoom lens (24-105 or 18-200 mm). So do I :-) I Would very much like to buy a 7s but am hestitant due to the lenses offered. I agree there is a serious lack of lenses and if it were not for the third party adapters I could not recommend purchasing the a7S. 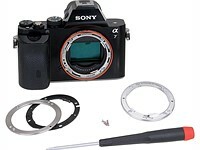 Speaking from personal experience with the adapters and a good selection of manual and AF lenses, the lack of Sony lenses is not a issue. If I were in the market for additional lenses the high sensitivity of the a7s no longer forces me to buy fast lenses. Another reason I purchased the camera is for astrophotography. This is where the a7s really out performs all the other cameras I have, since it enables me to accurately focus on stars that I cannot see with my eyes in the sky with heavy light pollution. With a push of a programmed button I can magnify the field of view to such a degree that the slightest touch of the focusing knob makes the faintest stars appear, and another touch they disappear. The result of accurate focusing and a light sensitive camera is very rewarding to me. Well, the Sony SEL-24240 is available now. Not cheap but definitely worth getting as a travel zoom. Ordered mine today. Regarding the DR & RAW comparison at the end of the review... whille the compressed raw files warrant review, the DPReview test is also flawed by not using the base ISO values for each CMOS sensor. 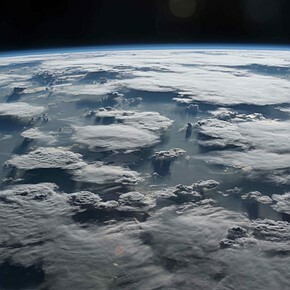 The higher exposure latitude or dynamic range possible will be available while utilizing the image sensors at their native base setting. For the A7R it is somewhere between 100-160, while the A7S is 3200. If you aren't flexing the A7S at 3200 you are crippling the range it will be able to reproduce. In the interest of squeezing the most in terms of DR from these cameras proper respect is also needed for how the components are designed. We often assume that the lowest ISO (native) is best, and it generally is. However the test images were shot at ISO100. You wouldn't seriously test cameras for comparison via extended ISO settings would you? Use the accurate native ISO of the image sensors or else you are comparing apples to oranges. Our testing (and DxO's) lead us to the conclusion that ISO 100 is the base ISO, in the sense that it appears to utilize the minimal level of amplification and offer the maximum DR.
What leads you to the conclusion that it's ISO 3200, so that we can test our findings? Had we shot a proper dynamic range test using ETTR methodology with the a7S at ISO 3200 and the a7R at ISO 100, the a7S would do even worse than it did in our shootout of the cameras at ISO 100. It'd have lost yet another stop or so of dynamic range. Our wedge shots verify the camera has less dynamic range at ISO 3200 than at ISO 100, which is absolutely expected, as base ISO maps a full pixel well to white in the digital Raw file. Higher ISOs map a less-than-full-pixel-well to white, which can help get lower tones further away from the noise floor, but never as much as it'll hurt the brighter tones that are thrown away b/c they exceed the max signal the ADC has been optimized to map to white. The bigger question is: where are folks getting the notion that ISO 100 to ISO 1600 are 'extended' settings on the a7S? Maybe there's a little confusion - the base ISO for the SLOG gamma when shooting video is 3200. That's not the case when shooting stills. 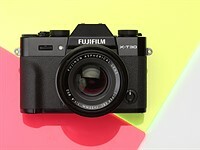 I usa an x-series fuji als small camera due to its comparatively very good high iso performance - with prime lenses. I want to get a full frame for the times when can take along a camera bag.. go beyond what I can due with the aps-c. Will the 7s be even better at performing @ high iso? DPR determined the Baseline ISO according to Noise. But it can be argue that the 7S Baseline ISO is 400 according to DR. I tend to believe the proper ISO Baseline for the 7S is 400 which makes sense given its larger pixels. Photato: If anything, we concluded ISO 100 is base based on DR and it's a noise analysis that might make you conclude that ISO 400 is base (since the lower ISOs are producing so much signal that it essentially overwhelms the Raw file, leading to quantisation error and noise at lower ISO). Our testing and real-world shooting both appear to concur with DxO's conclusion that ISO 100 offers considerably greater DR than ISO 400. I think Rishi has been waiting over a month for someone to explain why they'd conclude that ISO 400 is base. I'm sure he'd be delighted to discuss it with you. Yes, in fact I think this all comes down to a matter of semantics, and folks in the video world using 'base ISO' or 'native ISO' in a different sense than those in the stills imaging world. What is your exact method for determining ISO 400, or 3200, as 'native ISO'? Method, math, equations, observations, whatever, anything. What do you mean by 'Native ISO'? What do you mean by 'Base ISO'? (Btw: we define it as the ISO that uses the minimum amount of hardware level amplification. In other words, the ISO that has the highest conversion gain, expressed as electrons per digital number). We need to get some basic definitions straight before we can discuss this any further. Thanks. Richard, Rishi, as I understand Baseline ISO or Native ISO is the Sensitivity (according to the Standards) that passively collect Photons.No gain, No Amplification. 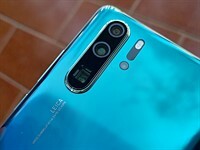 Given the larger than average size of 7S pixels and its relatively new technology, it is logical to assume that the 7S Baseline ISO has to be higher than the average ISO100 sensor which features smaller pixels. I don't pretend to have the correct answer but my post needs to be understood as a loose idea, hence I said "believe". The issue of ISO is not a trivial one and it seems that when it comes to the 7S there are some questions lingering. Would be nice to have access to Sony technical data on this sensor. I don't know the exact methods delineated by the ISO Standard to determined ISO properly but one that reflects efficient photon collection is a good start although not strictly scientific. Apparently the 7S sensor is using unique sensor technology that makes the 7S behave in a not so conventional fashion. A mystery. I recently considered to add to my cameras collection a mirrorless but I could not find out how you can keep your lens wide open while setting a small diaphragm. In other words, when I work in studio, I do not want to preview the exposure but set the exposure for the flashes, to say f11 while having a bright image on the screen with the modelling lights. Can all mirrorless do that? which ones do? Oh boy, you're opening a can of worms there :) We're interested in this very topic b/c we feel that the Sony cameras' reticence to open up the aperture when acquiring AF cripples it in low light and for continuous AF, since focusing at a smaller aperture means less light and more DOF (so increased range of hunting). But the behavior becomes rather convoluted once you try to factor in the amount of light the camera is 'seeing', the selected aperture, and the setting you have 'Live View Display' set to (Settings Effect On/Off). For Sony cameras, that is. I'm having a hard time recalling other mirrorless cameras' behaviors at the moment, but we'll keep an eye out. Most DSLRs do what you're asking for though. My best guess as to why some manufacturers do this: to avoid focus shift. But I can't imagine that's a big enough problem that you should always try to focus at/near the selected aperture, especially since DOF increases as you stop down anyway, masking focus shift. I've wondered the same thing. 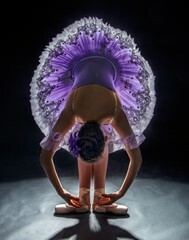 Working with studio flashes is perhaps the main reason I still have a Canon kit in addition to my M43 gear. With mirror less, shooting products you can increase the ISO to see what you're doing and set the focus, then decrease it for the shot. It certainly wouldn't work for people though! With M43 you don't need the power so perhaps continuous lighting of some kind is better suited, but for a FF mirrorless it's another matter. If someone has a way around I'd love to hear. I've been using the Olympus OMD for a little over a year, switching from Nikon--and will not go back. 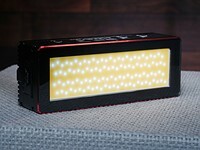 There is a setting to turn off exposure preview so the EVF stays bright, even though the exposure is for the flash and the subject is lit with modeling lights or the room light many stops lower. The first time is used the camera on assignment, I didn't know how to change this setting and the view finder was almost completely dark. I was guessing my compositions, but I pleased the client--and that's what really counts. Sony A6000 has a setting for Liveview to just leave aperture wide open or not, I can't imagine the A7S doesn't have it. Also Rishi I was wondering about effect of C-AF as well with 'simulated' liveview modes, but the behavior of the A6000 at least is not so simple...if you *want* a narrow aperture and the camera doesn't feel it has enough light it will open up the aperture further...the question then would obviously be in dynamic moving situations, having the camera take action to open up the aperture further will probably lose some keepers compared to just keeping it open all the time. In situations where there is enough light it probably doesn't matter, but in low light situations where you want a stopped down image, I imagine it would be to your advantage to not use simulated liveview (i forgot what they call it exactly). Oh, actually, I think I misinterpreted your question. I thought you were interested in the aperture staying wide open, but you're more interested in a usable preview even when your exposure is set such that sans flash, you'd get a dark exposure. In that case, yes, Sony does have a way of just keeping the preview at a reasonable brightness. You just set "Live View Display: Settings Effect OFF". However, Timbukto - on Sony cameras, setting this to 'Off' does not actually mean the aperture stays wide open, since the aperture will close down if the camera 'thinks' the scene is bright. It'll then open/close the aperture to your selected aperture when acquiring focus, unless it thinks it needs to open it up b/c it's too dark, or close it down b/c it's too bright (to avoid saturation). From there it gets really complicated really fast (as you say), as this behavior changes based on if the setting is 'on' or 'off'. I personally think the algorithms need some serious work. Also, you say 'if the camera doesn't feel it has enough light it will open up the aperture further' - that's exactly where the problem lies, b/c the camera's algorithm for determining if it 'feels it has enough light' needs to be more conservative. Often it think it has enough light, but it doesn't - not enough to focus fast, anyway, so focus slows down. You then have to literally shut off like all the lights to get it to open up the aperture all the way. So at best, it's slowing itself down; at worst, it causes itself to fail. Furthermore, not opening up the aperture means extended DOF, which means the camera has to search a wider range to detect focus. This becomes particularly egregious at smaller apertures. Say you want to ensure an erratically moving subject is absolutely in focus as it's running, and you're moving alongside it as well. You may wish to choose F8 for a higher hit rate. But the AF would be slowed due to DOF. And no 'Live View Display' setting gets around this. The setting on the A6000 works fine because of the APS-C sensor combined with only f1.8 primes, etc and its PDAF capabilities. I can see where this becomes an issue on a FF sensor without PDAF capabilities. So this setting that you find 'awkward' on the A7S works acceptably well on the A6000. I can see how a CDAF FF camera with such shallow DOF capability has enough difficulty to work with that the live view display settings are less than optimal (but perhaps CDAF on a FF sensor is already less than optimal). Also with the A6000 setting the liveview settings effect off has in real-world circumstances has *always* given me wide open apertures in liveview and AF, but again I can see that this may differ with the A7S which perhaps has an extremely photosensitive sensor combined with a stop or so more light gathering for its available f1.8 primes. Settings effect off does the trick for me with the A6000. I can see how it may be different on the A7S due to its lack of PDAF, etc. "Also with the A6000 setting the liveview settings effect off has in real-world circumstances has always given me wide open apertures in liveview and AF"
Interesting, I'll have to recheck that. Remember though that with any given f-stop prime, the light per unit area is the same, so the a7S' pixels shouldn't be any more prone to saturate than the a6000's. As long as the FWC/pixel size ratio remains the same between the two cameras. Yes CDAF is particularly susceptible to underperforming with stopped down apertures (b/c of the need to hunt more), but I'd imagine so are PDAF systems. Isn't there a smaller phase difference between 'left-looking' & 'right-looking' on-sensor PDAF pixels at smaller aperture? Perhaps this is balanced with sharper overall detail for the phase difference algorithms? Still, though, I'd imagine there's some crippling due to less light. It is interesting to see that the newer SONY A7-2 seems one stop noisy than older A7s in high ISO in the DPR's LAB testing results. That's b/c it's likely the same sensor as the a7. The a7S pulls ahead even more at really high ISOs. Is this turning into a Videocamera review site? Glad to see an excellently performing full frame as a 4K videocamera. However it is a heavily handicapped expensive still camera, far from an all-round performer yet it gains a whopping 86% and gold award. I am starting departing from Dpreview opinions lately. Not all camera has to be an all-around performers. There is nothing wrong with a camera that is a specialist, whether it is high-end, high megapixel stills camera like Phase One or Hasselblad medium formats, or a video-oriented cameras like the Sony a7S and the Panasonic GH4. And not everyone share your lack of enthusiasm for video. I for one have been venturing more and more into filmmaking in addition to stills, and the lines between stills and video has been blurred more and more ever since the introduction of the Canon 5D to the cinema world. So kudos to DPReview for not ignoring an important segment in the camera world. Other cameras have been heavily penalized in the past for being specialized. I have not problem with giving full marks to a well designed specialized camera, I do have a problem when this is applied inconsistently. In this specific case it is even most obvious as this is more a video dedicated camera than a still camera, so again, it is even more of a problem in my eyes. For as still photographer it is really hard to justify to shell out this kind of money on a very limited still camera with limited lens selection. Even for a videographer I think it is hard to justify, because good 4K options will be readily available very soon, this camera will lose its marked value so fast. Poor investment unless somebody needs good 4K now and cannot wait. For Armandino, A7s isn't only a very good video camera, is THE BEST camera for low light. Check the dxomark to convince your self. Also no shutter noisy, it makes it ideal for concerts shots. We debated for a long time whether to score this as a video or stills camera, or both. And what the award refers to. It wasn't easy, and as always, there were compromises to both approaches. Sorry you disagree with our final decision, but we were going to make some people unhappy, one way or the other. I guess it would be strange to judge the 7DII as only a portrait and landscape camera. Tools should be (re)viewed for their intended purpose. If you want to check DXO, do it right. Look at the 18% SNR curve, it is virtually identical to the 6D from Canon. Look at the DR curve, you notice a huge and tell tale bump at ISO 6400. At ISO 3200 the curve would have dived under the 6D curve, but Sony starts to apply noise reduction above ISO 3200. 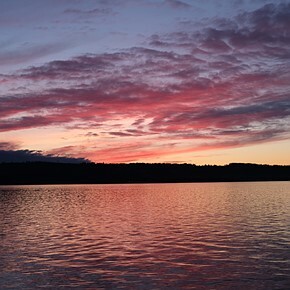 It is not the low light wonder Sony wants to make us believe or its 12mp low res. would suggest. Rather underwhelmed, to be frank. Also check the dpreview comparison tool. What has noise reduction got to do with DR? Genuinely interested as I'd not realised there was a link? The lower the noise floor, the higher the DR. Sony Exmor sensors have higher DR due to lower read noise (because they have ADC on the sensor itself). Look at ISO 100, the 6D has lower DR caused by more read noise. The DR is "measured" by looking for a certain signal to noise ratio. OK, thanks. Still not quite getting it yet though, I've checked DXO and understand the science now but not sure how noise reduction [as you put it] makes a difference in this case. To have any effect on DR wouldn't it also have an equal effect on the SNR 18% measurement too and hence show up in the SNR graph? The two are intimately linked right and the SNR graphs look linear to me. 18% SNR is measuring signal to noise ratio on a midtone. Extended DR is in the dark blacks. As you will notice, the 6D/DF/A7s are all almost the same with the 18% SNR graph. Brightcolors, the 6D is Was reviewed two years ago and can be purchased for about half the price of the Sony. Although it is clearly primarily for still photography. The A7 and A7ii are geared to be an all around camera. The A7R and A7Rii (R for resolution) are geared to be high MP camera best for studio. product, landscape and fashion or anywhere you need high megapixel count or want the ability to crop in a lot. Use the right tool for the right job depending on your needs. Very good review. Thank you for pointing out some of the not so true assertions made by the Sony marketing department. Unfortunately some readers might not take the time to figure out that video from the 1.5 crop of the sensor can't really be 4K like you guys did. The findings on dynamic range were interesting too. For MJ FAP, multiple sources show the A7s is a couple EV shy of Sony's DR claim. DxO tested the A7s at every ISO and it never matched the A7R for DR at ISO 100, nor did it come close to the the Sony statement. That being said, overall the A7s DR is excellent at higher ISOs. Just remember that the Sony claims for DR, while extreme, are for video under special circumstances and are not that far off what people are able to get. You're not going to get more DR out of the camera than what the Raw file provides at base ISO, which has been measured to be ~13EV by DXO. Unless the video signal pathway or output has something that bypasses the Raw signal pathway and the Raw signal pathway is somehow throwing away dynamic range. I wonder if Cinema 5D's results are from video that's had some level of noise reduction applied to it? If you apply NR to lower tones, you'd measure a deeper lower tone as having an acceptable SNR cutoff, thereby measuring a higher DR. If that were the case, you wouldn't actually more DR than the 13 EV the Raw file provides, just more DR after NR - which is a non-standard way of measuring DR. Either way, it still falls behind the Raw DR of the A7R, D810, D750, etc., b/c of increased downstream read noise compared to those cameras, which I personally think is due to quantization error b/c of the high FWC combined with the limited bit-depth of the ADC. Great point, and again I wasn't challenging the results you achieved - just a different viewpoint. No, no, I'm glad you brought it up in fact. I'd seen that some time back & had made a mental note that we should investigate the source of the discrepancy. I'd still like to. If anyone has any thoughts on this, please share! Hmm... You guys seem real proud that you have proven Sony liars about the dynamic range. Just one thing to note though. In your test of the A7R vs the A7s you made one huge mistake that renders your test conclusions mute. You tested one camera at its' base ISO(A7R base ISO100) but not the A7s(base ISO 3200). Not every camera has the same base ISO or the same point at which the highest dynamic range is achieved. For a test whose entire point is determining best dynamic range the obvious first thing to figure out is the actual base ISO of the camera in question and test at that point. good point. I was wondering that also. Where did you get that notion? Both cameras were shot at ISO 100. Why do you think A7s has a base ISO of 3200? If it had, the A7s would clip the image seriously at ISO 100. The A7s has a native ISO of 3200, just as he says. It is published information. And that IS where it gets its full dynamic range. Not at ISO 100. Horses for courses. At IS3200, DR of this camera will beat the A7r's, at least in Video, others have tested this. It turns out to be rather tricky to actually get the full DR this camera has on offer. @Rishi. "Both cameras were shot at ISO 100 "
That is exactly my point. They shouldn't have been. Not if the goal was to find the true dynamic range potential. Base ISO is not always 100. It is for most cameras but not all. You seem to be making the wrong assumption that base ISO=100. Base ISO is the point for any given sensor where maximum dynamic range is possible. That is its' "native" ISO or where it is most happy. Anything outside of that up or down and image quality suffers. The A7s at 100ISO is outside of its' happy zone. Your review needs updated in that one section lest the credibility of the whole review be questioned. There is a reason Sony restricts the ISO in the higher dynamic range video settings S-log2 to 3200. That is because outside of this sweet spot the camera will not be able to capture enough dynamic range. "conclusions moot" surely, or were the conclusions unable to speak? The A7s has its maximum DR at ISO 80 according to DXOMark. There is also where it has its maximum TR and its maximum SNR. Where have you read that the native ISO is 3200? Sounds like nonsense to me. @FineArtPhotographer - sure - let us take images at ISO 100 for A7r and at ISO 3200 for A7s and compare. That sounds more reasonable and fair - or? We think we've worked out how you'd conclude that ISO 3200 is the native ISO (though we don't believe this to be the case). Could someone provide a source for this statement, so we can confirm or disprove our suspicions? Agree, I also want to have some reference of the claim. NOTE that exactly what native ISO is can be disputed, as e.g. the ISO definition do not talk of such a thing. To the best of my knowledge native (or base) ISO of a sensor is the ISO you get when you measure clipping of the sensor. No, that's incorrect. The base ISO of the camera is 100, not 3200, as clearly demonstrated by DXO. That's where the camera has maximum dynamic range, as also demonstrated by DXO. Perhaps you'd like to define the term 'native ISO'... preferably without the word 'happy' in the definition? wogg: "At IS3200, DR of this camera will beat the A7r's, at least in Video, others have tested this." And at ISO 100, DR of this camera will beat DR of itself at ISO 3200... which is why we tested at ISO 100, where the camera DR is maximal. If you have a high DR scene, you don't shoot at ISO 3200. On either camera. Not if there's anything you can do about it. Big mistake for dpreview. It seems you guys were a little bit too anxious. DP did it correct. A7r has better DR than A7s @ 100-400 ISO . A7s is better than A7r @ 3200 , but it's still nothing compared to what both cameras achieve @ 100. Googled a bit.. seems that ISO 3200 is the native (lowest?) ISO if shooting video in S-log2 mode. Just a video thing. Nothing to do with still images. @Steen Bay - absolutely right, ISO 3200 is the lowest available ISO when using the SLog2 mode (which appears to equate to the same sensor amplification as ISO 640 mode does with a standard tone curve, confusingly). But at the sensor level, 'ISO 100' appears to be base in the sense of offering maximum DR.
Big mistake for people who think it was a big mistake for DPReview. Max DR is at base ISO, which is 100. SLog2 does raise the minimum ISO to 3200, as we pointed out here. On that same page, we also pointed out that hardware level ISO amplification appear to go up 4x (to be more precise, between ISO 400 & 640 levels), so dynamic range actually drops w/ SLog2 compared to ISO 100. In fact, it was b/c of this that we specifically asked Sony engineers why they raised the minimum hardware-level ISO amp as opposed to simply applying a more aggressive tone curve in SLog2 w/ ISO 100 levels of amp, as the latter would preserve the maximum DR the camera can record. You could use higher ISOs if needed b/c of exposure limitations, but the option for ISO 100 levels of DR would've been nice w/ SLog2. As it is, though, you're always paying a DR cost by enabling SLog2, which we feel is unfortunate, & goes directly against OP's notion. I realize that's it's entirely unreasonable for me to expect civil behavior on the internet, but, still, it'd be nice. Hope this clears up all the confusion. So the SLOG base ISO of 3200 was chosen why? I get that its for video but there has to be a reason Sony chose it for this particular sensor. Not the end of the world however and it doesn't change Dpreviews excellent findings - especially since Sony will have a mega-megapixel FF camera coming soon for landscape photographers. The a7s isn't for those customers anyway. "So the SLOG base ISO of 3200 was chosen why? I get that its for video but there has to be a reason Sony chose it for this particular sensor." Yes exactly, that's what we were wondering. And we never got an answer to it from any Sony rep, unfortunately. I did make it clear though that in their next implementation, it'd be nice if they offered lower levels of hardware ISO amp. In fact, we're confused about where the stated 'ISO 3200' even comes from- we measured ISO 640 levels of hardware amplification (by comparing clipping levels in Raw files for ISO 3200 SLog2 shots vs all other ISOs, finding that clipping occurred for the same tones in the scene at ISO 640 vs. a SLog2 ISO 3200 file). I.e. SLog2 does affect the Raw- at ISO 3200, it's like a ISO 640 Raw in terms of actual Raw signal. But then the ISO 3200 SLog2 JPEG has a drastically non-standard tone curve applied. We figure it's called ISO 3200 b/c midtones are brightened to 3200-ish levels (but even, they're more like 1250). I appreciate the insight. I know it can be tiresome to see all the critics in these forums but your answering questions is helpful. Thanks for the positive remarks! Just a thought around the ISO3200 labeling. Isn't that, in auto-ISO, something that aims for that 17% grey, and that simply doesn't apply for SLog2? So what to call it that people can somehow relate to? Thanks for the explanation Rishi. Sorry if I came on too strong. It is just that everything I read about this camera mentioned a base ISO of 3200. Trying to fathom why Sony is not on the up and up with regards to the video ISO. Why not just say it is 640? To have inflated specs? Base ISO is still 100 on the a7S. Why does it jump to 3200 in S-Log2? I don't know. Why not call it whatever hardware-level of amplification the camera is using (400 or 640 or whatever it actually is)? Probably b/c they're basing the rating off of the midtones, which are boosted more digitally after hardware amplification (so might be somewhere around what you'd expect ISO 3200 hardware level amplification to get you - for midtones only). Either way, yeah, it's pretty confusing. Don't think it has anything to do with marketing though. Suddenly jumping to ISO 3200 when enabling S-Log2 actually looks bad, IMHO. But it does ensure you really underexpose for the highlights. The real question is - why are they raising hardware amplification so much, b/c that in itself throws away dynamic range. Simply because Sony considers it important that they produce an output that match the S-Log2 tonecurve? Chosing another curve may well have saved some DR. There could be some limitations for them to implement the S-Log2 with 100 ISO on A7S. Either that, or they want to protect their Video Cameras from losing some sales. I think now than ever Nikon should try make 4k camera with "all the bells", before both Canon and Sony are not afraid of cannibalizing their own products. I've never been a big worrier about dpr award colours but there is a rather obvious discrepancy here - are we to see other average cameras with niche features also getting golds? Lassoni makes a good point and another positive of the A7s is how much color information is held onto by the camera as the ISOs rise - dynamic range charts are only part of the battle when showcasing what a camera can do. Nikon and Sony are so incredible these days that photographers are truly spoiled. I never shot film above ASA 800. Yes 800....and now even Micro4/3rds can do that clean without issue. Wonderful time to take pictures and have fun! Damn near a year in coming, but a POS low-end Canikon gets here in a month. Thanks. You're very welcome (for the free service). Btw which POS CaNikon are you referring to? "With respect to comments or other text-based content you submit or make available for inclusion, you grant us a nonexclusive, royalty-free, perpetual, irrevocable and fully sublicensable right to use, distribute, reproduce, modify, adapt, publicly perform, translate, create derivative works from and publicly display such content throughout the world in any medium." "We reserve the right to make changes to the Web Site, policies, and these Conditions of Use at any time." There is no opt-out specified, i.e. dpreview owns all content and can do whatever they want with it, including reproducing it in any form. So I don't think you should be especially exempt from criticism - quite the opposite. You are on a payroll, not working for a charity. In a market that moves very quickly. New products coming out every 9 months. Would you not agree that if a review is to be used as a benchmark for a purchase, then a review needs to surface relatively quickly? I don’t think many are waiting for 12 months before a purchase... just to see what score DP has given a camera. And if a review is not to be used as a benchmark for a purchase - what should it then be used for? Cosy Reading? Today I use other sites then DP. DP is simple just too slow with new reviews. 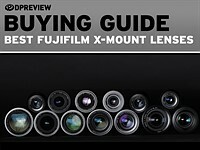 And personally I cannot wait 12 months before I make a purchase… and I’m just a private guy with a love for photography. Think about professionals. DP you have to stop up – and release your reviews faster than today. I believe that most people would rather have a review come out fast and with fewer details – then wait a year and get a review with a lot of details. As said earlier… it’s a very fast moving marked. We understand what you're saying, and we agree. @rishi: I hope I did not sounded too harsh. Do not misunderstand me. I love DPReview. Yoy have a GREAT site... and when your reviews come out - they are the best! But the best just not always win in this line of business. Would be nice to know that how does ISO-invariance depend on post processing software. It won't vary drastically, save for differences due to different levels of default noise reduction in different software packages. Thanks for informing us. We'll add the a5100 in. "Cons: ◾4K footage from APS-C region of sensor is disappointing"
Seriously? Who wrote that? APS-C in this camera is 12 / 1,5 / 1,5 = 5,3 MP. It should be clear for a child that this CAN'T have the full 4K resolution in APS-C mode! So we shouldn't point out the problem to people who aren't sitting there, working the crop dimensions out in their heads? While Sony's website shows that the camera can output 4k from the Super35 region of the sensor, we should point out that it's not very good. I think we're on to something here with regards to DR at base ISO. This thing happened on the Nikon DSLRs such as the D800 against the D600 or D4s. Amazingly, the DR of the d7000 in DXO is very close to these modern full frames. I am waiting for the A7x. 24MP, 8fps, A6000 AF speed. Nice. Nope, didn't forget. I don't care about that. If they include it - fine, but I won't get much use from it. The A7S, by a long shot, takes more beautiful photos then any FF canera I have ever used before except the M9 and M240. Have you tried what kind of images 36mp camera can take? Here is what I learned from this review. 1. Based on these test results the A7s does not achieve the Maximum Dynamic Range that Sony has claimed at its Base ISO. 2. The A7r achieves a better dynamic range at base ISO than the A7s. 3. The dynamic range and noise response for the A7s exceed that of pretty much all other cameras after about ISO 51,200. However, those results still may not be acceptable at that level. 4. The 1080p @ 60 FPS full sensor readout video in the A7s is the best compressed 1080p @ 60 video you get out of any camera on the market to today. 5. The high ISO video performance is exceptional and unmatched. 6. The cropped A7s 1080p video just isn't worth it. A7s video in crop mode is pretty good and still better than any APS-C photo camera. Also, rolling shutter is acceptable unlike the ridiculous amount in FF mode. I would say that for 3) I would say it is not 51200 but 12800 for all but the 1Dx and D4s and 25600 for those two. As for 6) The APSC video is actually pretty good for 1080p and some say that for 50/60p it is better to use APSC than FF I think. This is not the camera for everyone or even that many. For me, it is wonderful......despite what many consider its flaws (things missing that I don't use or need with this camera are not flaws to me). So how log do we have to wait for the full review of the A7 II? A year? Please. The reality is that you can wrap fish in old news, but it's good for little else. 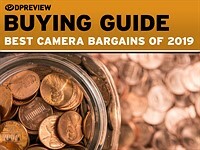 Why would I want to peruse a camera review that's a year old? Doesn't everyone already know this stuff? 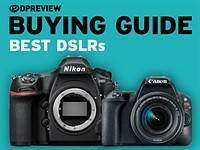 In the past, a large part of my camera purchasing strategy was based on DP Review's knowledge base . . . I'm getting a little skeptical about that approach now. Also, Looks like Sony is getting the short end of the stick. 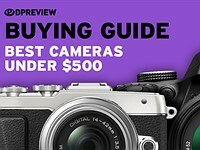 I'm sure that an uptick in sales, for a nearly obsolete camera, is just what their marketing folks were anticipating. Not. Amazing that there are now four A7 cameras and still only one large-aperture prime lens for this system. There are already reviews in DPReview that call you out on this. Why say it? Any full frame lens on the planet will work on the A7, it's amazing how DSLR fan boys are such BS artists. Call me out on what Beachrider? The fact that the only large aperture AF native lens for this system is the Zeiss 55 f/1.8? That is a fact. And Joe, I am no fanboy, I love my A7 and 55 lens. And I love AF, MF is tedious, focus-peaking is rubbish and lens adapters work but make AF so slow it is ridiculous. So what exactly is wrong with what I've said? Tall, there is a 35 mm f/2.8 that shows as well. 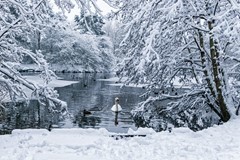 The contests on this website call f/2.8 "large aperture". They show substantial info on both. Hmm, I would not class 2.8 large for a prime, a zoom yes, absolutely. But you are correct, I had not seen that three new primes had been announced when I posted my comment, (28, 35 and 90). These will be fantastic for the A7 line and also signify more problems for Canon and Nikon.. I like the Exposure Attitude test on this. Instead of so many being the same size sensor, I would like to see one different such as replacing the 6D with a E-M1. It might be interesting to see. I agree with the conclusion that pixel size may not matter as much as the engineering of pixel for that size of sensor. My guess is that it would be more than a 2 stop difference that shows itself in the normal lab test because of it being engineered for a better light source. My goal is still to engineer the light so I don't have to shoot at 6400 no matter what camera I use. Here is what I do know: It's better to not underexpose anytime. It's better to raise the ISO at shooting than to try and recover in post. So what was the final DR? Why was it rated gold if the DR is less than it's still camera siblings?